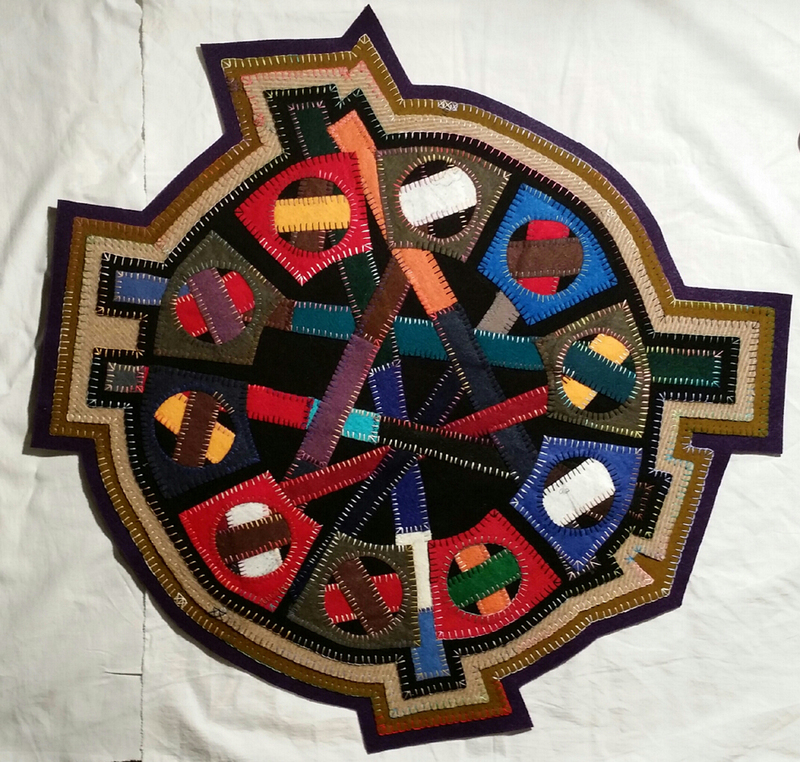 Shamelessly dynamic, rhythmic and methodically crafted, Loring fuses venerated practices and innovative design, manipulating color, shape and dimension in her appliquéd compositions. Loring’s design aesthetic is unabashedly bold, kinetic and playful, emerging from bags of scraps abandoned on her porch, or scavenged from flea markets and yard sales. 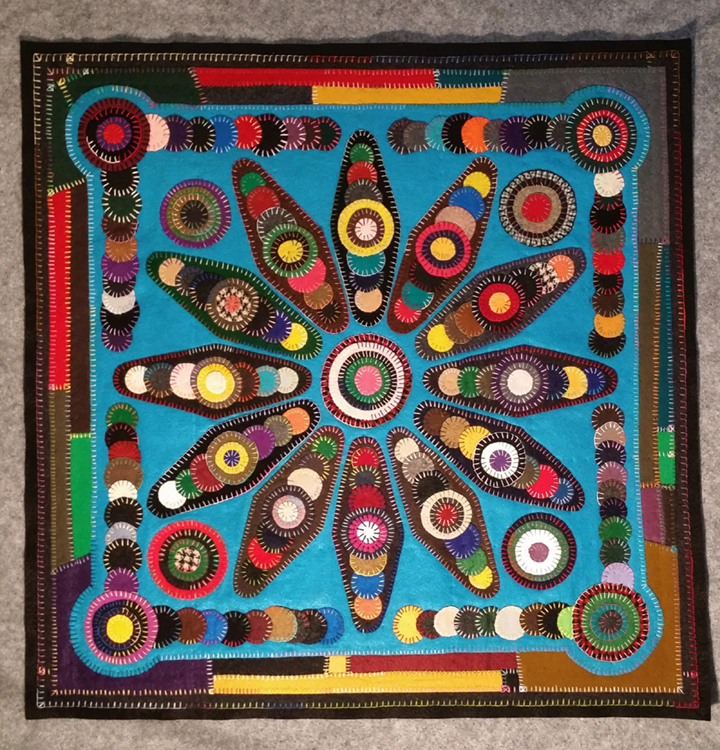 Unique, original designs are assembled using various weights and shades of woolens, synthetic fabrics and felts and two common embroidery stitches, to reinterpret color, shape and spatial frolic, evident in her work. In January 1997, Country Living Magazine, published her “meticulous hand-stitched”, undulating, eye-popping designs. 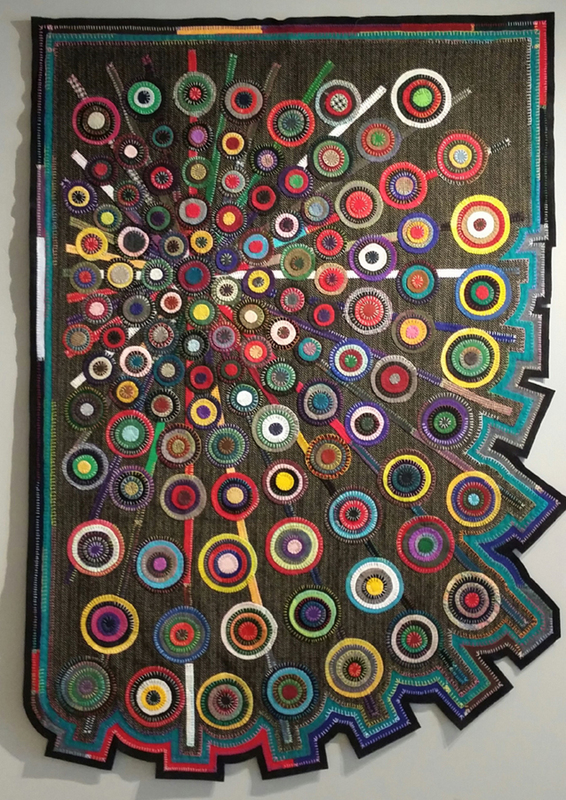 Using various needles and threads on hand-cut felt pieces amplifies the visual freshness, enthusiasm and sophisticated naïveté trademark in her work. A material driven philosophy, stylized design and saturated color felt palate inspire and energize each composition. Technical individuality, visual electricity and emotional authenticity, reacquaints viewers with childhood crayons or a long-forgotten craft project. 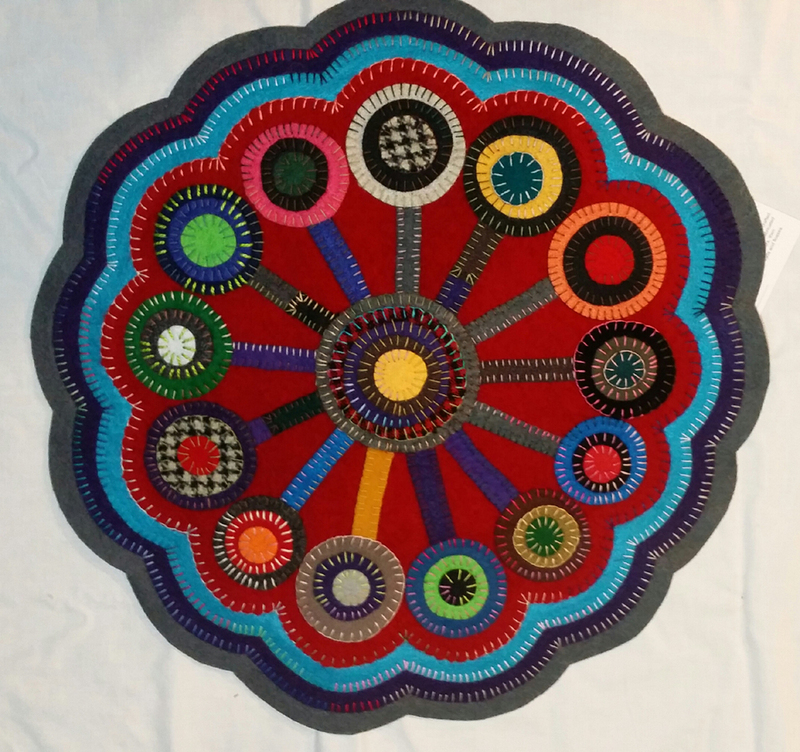 Nurturing an insatiable need to sew, Loring’s passion and self-taught fiber art skills began in toddlerhood. A brief, stifling art school stint contributed little, but professional and life experiences enhanced her compositions with spontaneity, dimension and eccentricity. During a lifetime of practice and perseverance through middle age, an avocation became a vocation. Training at the Campbell Center for Preservation Studies, Mt Carroll, Ill., under Helene von Rosensteil and teaching at Peter’s Valley Craft Center, Layton, NJ, formalized her skill sets. Awards celebrating volunteerism, historic research and dedication to local museums and educational institutions vitalized and infused her work with a strong and respectful technical and aesthetic consciousness. 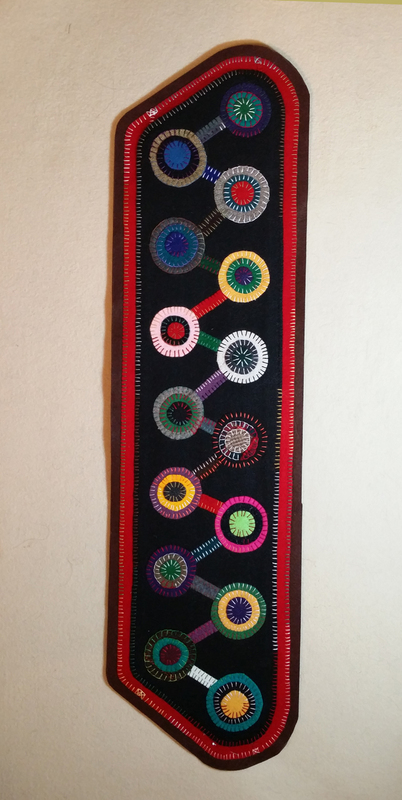 By middle age, Loring mastered most traditional American needle arts, but never pursued felt appliqué, until she got fired from a job for excessive math errors. New glasses, behavioral optometry/vision training and psychotherapy were recommended in 1990. 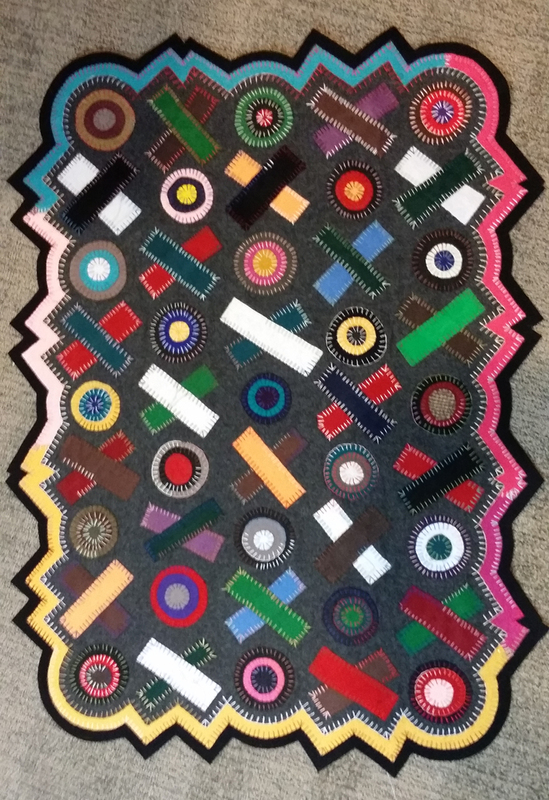 This triumvirate expanded and electrified her design boundaries, fostering the fabrication of appliquéd rugs, transforming a twenty-year-old felt collection. This was the genesis for her creative future. A New Jersey native retired from twenty years of teaching culinary arts and baking and pastry, Loring holds a Bachelor of Arts degree from New Your Institute of Technology, MSDE grades 7-12 teacher and American Culinary Federation pastry chef certification. 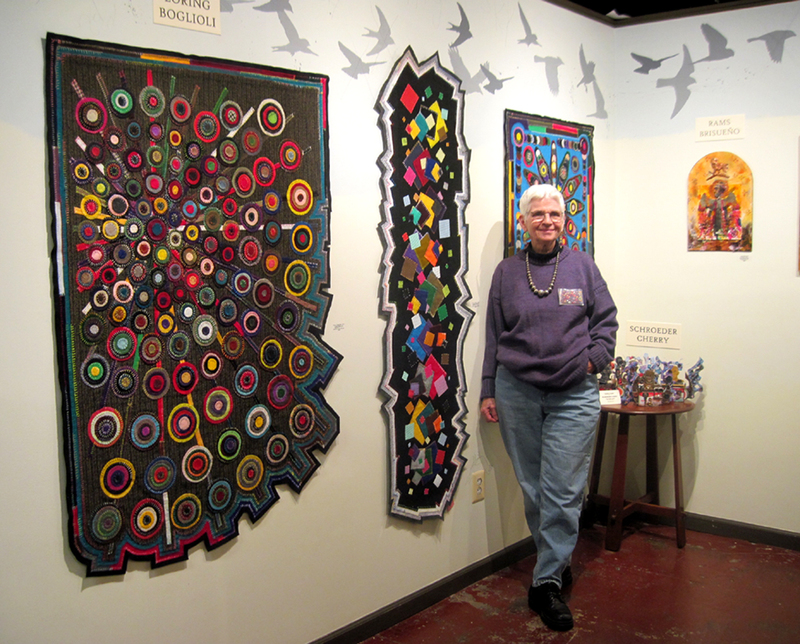 She resides in Baltimore, expanding her fiber arts interest with Hamilton Arts Collective in Baltimore, Maryland. Native plant and herb landscaping, baking, common everyday items and on-hand materials inspire her work.